by Kroll-Smith, Steve, Gunter, Valerie J.
Kroll-Smith, Steve, Gunter, Valerie J. Professor Kroll-Smith is the Head of the Department of Sociology at the University of North Carolina in Greensboro. He was formerly a research professor of sociology at the University of New Orleans. He has edited and written 5 books on environmental hazards and disasters, health and the environment, and sociologists as expert witnesses. He is the current editor of Sociological Inquiry and the 2004 recipient of the American Sociological Association's Distinguished Contribution Award in the study of Environment and Technology. Kroll-Smith's current work is the problem of race, class, and water in New Orleans in the aftermath of hurricane's Katrina and Rita. 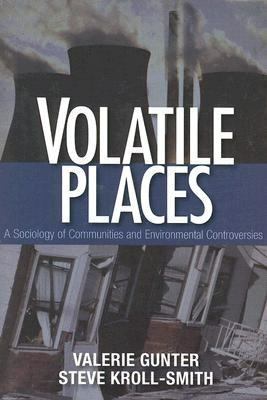 He also regularly contributes to the growing scholarship on the sociology of sleep.Kroll-Smith, Steve is the author of 'Volatile Places A Sociology of Communities And Environmental Controversies', published 2006 under ISBN 9780761987505 and ISBN 0761987509. Loading marketplace prices 16 copies from $4.49 How does the rental process work?